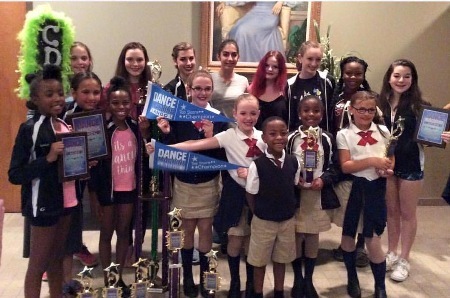 At Chatham Dance Connection we are committed to spreading joy through the art of dance! We focus on educating our students in various genres of dance, while building self-esteem and promoting personal growth. Whether our students are dancing at a recreational level or preparing for a professional career in dance, we hope to bring out the best in each and every student that "dances" through our door. Chatham Dance Connection was established in Pittsboro, NC in August of 2008. We began our program in a local after school facility with just a handful of students. After four years of instruction and three temporary locations, we finally opened our very own studio in the fall of 2012 with over 100 students. We are so proud of the students that we teach, the faith our students and parents have had in our level of instruction and the dedication that our dance family has shown through the years. We would love to have you come and dance with us! Please visit our studio at 352 East Street in Pittsboro, NC. We are located on the back side of the Piggly Wiggly Shopping Center directly behind the cleaners. Register NOW for classes this FALL! Classes begin AUGUST 20th!!! CHECK OUT OUR FACEBOOK PAGE with the link below!